It is easy to feel overwhelmed when you’re facing a Michigan OWI charge. The more you research, the more you learn and the more you realize how much there is to learn. You could, quite literally, spend forever on this. There is a lot for even the world’s greatest DUI lawyer to keep learning. Rather than drive yourself crazy, the best thing you can do is to hand your troubles over to a professional who can figure out exactly what to do. Everybody in this situation wants the same thing – either for the whole case to just go away, or to get the best and most lenient outcome possible. Despite how freaked out you may be right now about jail, get that off your mind. In a 1st offense case, and with only one possible exception in the whole Tri-County area of Oakland, Macomb and Wayne County, you’re not going to jail, period. In fact, I can more likely than not keep you out of jail in most 2nd offense cases (and in plenty of 3rd offense cases, as well). 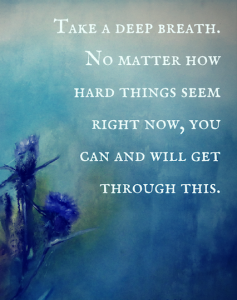 You need to take a deep breath and relax, because you’re going to get through this. Anyone facing a 1st offense OWI charge shouldn’t stress out and waste the mental energy thinking about jail, because it’s almost certainly not on the menu. Once you know that you’re not going to jail, then getting through that DUI means avoiding and minimizing the other legal consequences (usually part of probation) that are realistically possible, and there are plenty of those to manage. It’s similar for anyone facing a 2nd offense DUI. The mechanics of what needs to be done in a 2nd offense case are different, but even if your case is a nightmare and you wind up in front of the toughest Judge around, any realistic jail term is measurable in days, not months. No matter what your situation or who your Judge, however, in a 2nd offense OWI case you WILL get stuck on probation for anywhere from 1 to 2 years (18 months is not uncommon). Probation, by its very nature (especially in a 2nd offense case) does put you squarely in the sights of all kinds of things you have to do, including breath and urine testing, classes, counseling, support group meetings, community service and more. This is what we need to work on and, to the extent possible, help you avoid. My job, as a Michigan DUI lawyer, is not only to shield you from as much legal fallout as possible, but also to help relieve you of the emotional burden and stress that follows a DUI arrest. I want to make sure you know that I’ve got your back – I will take care of this for you. Knowing you’re in good hands is all well and fine, but most people still have questions about what they’re facing, what’s being done, and what it all means. In terms of explaining things so that you understand what’s happening and why, I doubt there is any lawyer or law office that is as friendly or helpful as mine. I’m the guy on the iPad at 7:00 a.m. and 10:00 p.m. answering questions. I HONESTLY don’t think any lawyer has ever had the amount of compliments in his or her whole career that I get every month about my staff and how they’ve helped someone get through all this. When it comes to answering questions and just “being there,” nobody does it better. What a person doesn’t need to do is start playing lawyer. Attorneys hate that, as I’m sure doctors and dentists, do, as well as anyone else who gets paid to fix problems but somehow winds up having to deal with the occasional, pain-in-the-a$$ expert wannabe. Younger lawyers and those who are hard up for work have no choice but to put up with this, but you’ll find no patience for that kind of stuff amongst seasoned and successful veterans. This has nothing to do with asking questions; that’s a totally different thing. What I’m talking about here is the amateur legal scholar who thinks he or she knows enough to control and direct case strategy. I have no time nor inclination for that kind of client. Whoever else you are, don’t be that person. It shouldn’t come as a surprise that a few days on google won’t provide the same foundation as a formal legal education and actually having handled thousands of Michigan OWI charges. There are actually several stages of a DUI case to get through. If you’re reading this, you’ve already been through the first part, the arrest and booking. The good news is that with that part of things over, you’ve already survived the worst of it. Next comes the court process. This is often nerve-wracking for the client, mostly because of misplaced fears about what could or might happen. Ironically, while most people want to “get this over with” as soon as possible, that’s usually NOT the best strategy. Because I work on a flat-fee basis, I certainly make better money wrapping a case up as quickly as possible, so when I suggest, as I usually do, that we come back to court and take the time to consider something, or look something over, I’m doing that because I know it’s in my client’s best interests. In the hands of an experienced DUI lawyer, time can be a tool to use to drive a better outcome. I do it all the time, and am NEVER in a hurry to get through a case as quickly as possible. Quite the opposite, my goal is always to produce the best outcome, not the fastest. In the real world, a lawyer must know all the facts of the case. Usually, this requires getting not only all the police reports, but the dash-cam video, as well. Once I have a firm grasp of everything, then I must skillfully manage time and perception. This can get rather deep, but the proper handling of a DUI case involves the careful handling of the facts, time, science and perception. To quickly take that further, we must know the facts, understand the science, and then use them in a way, along with the management of time, to create the best, meaning the most favorable, perception. At any rate, and as the old saying goes, “timing is everything.” Although there is more to a DUI case than just timing, learning how to manage the time element of a case is a skill that is honed over decades and decades and is invaluable to producing the best outcome possible. That said, we’re talking weeks here, not months and months. DUI cases don’t stay unresolved for very long at all, so it’s not like a case that could be quickly wrapped in the spring can be dragged into the fall. At some point (soon enough), you’ll be done going to court. For most people, that means starting a term of probation. Probation in a DUI case is a big topic, and I’ve covered just about every aspect of it in other articles on this blog, so here we’ll simply observe that probation means you don’t go to jail on the condition that you do certain things, and NOT do a few others. Standard probationary conditions require, amongst other things, that you NOT be convicted of any other crimes (some probation orders require that you don’t even get arrested), not leave the state without permission, and not drink any alcohol or use any drugs without a prescription. On the flip side, you’ll usually be required, amongst other things, to provide breath and/or urine samples, as directed, to ensure you’re not drinking or using any drugs, report on a monthly basis (this can sometimes be avoided), complete some kind of alcohol and/or substance abuse education or counseling, and perhaps do some community service (this is almost never required in Macomb County, is sometimes required in Wayne County and is pretty much standard in all DUI cases in the district courts of Oakland County). Probation is where you can get all jammed up. There are certain courts where, if a 1st offense DUI is correctly handled, the whole case can be wrapped up and all you’ll have to do is pay fines and costs and not even be placed on probation. There are other courts where a person can get away with either non-reporting probation or a very short stint of regular probation, and then there are courts that pile on the probation conditions more heavily than you can imagine. No matter what, there will always be one court that is the most lenient, another that is the toughest, and a whole bunch in-between. For everyone in a DUI case, dealing with the conditions of probation is where you’re going to “feel” this the most. To me, “getting through” a DUI means avoiding as much of this as possible, and winding up with the fewest requirements as to those things you must do and those you cannot. Whatever the circumstances of your case, my job is to explain things so you really understand them. This doesn’t mean blurting out all kinds of legalese, it means helping you understand the how and why of things, including where your court fits into the spectrum from most lenient to toughest. Whether your case is going to be easy, or hard, it always helps to know what to expect, and this should be done at every step along the way. And beyond all the “what about” and “what if” questions, you need to understand that you WILL get through this. If you retain a top-shelf DUI lawyer, it will go more smoothly and you’ll likely wind up with less negative consequences, but even if you wind up with the worst attorney around, you’re still going to get through this. You’re not going to die over a DUI charge. Obviously, you’ll do better if you hire better. The goal is always to avoid and minimize as many penalties as possible. Whatever else, though, there is light at the end of the tunnel. If I’ve done nothing more than remind the reader that your DUI is not the end of the world, then I’ve accomplished my goal. If your facing an Michigan OWI charge anywhere in Oakland, Macomb or Wayne County and are looking to hire a lawyer, I can help. Be a good consumer. Read around. As of this writing, I have written and published well over 340 DUI articles on this blog. Forget a book, that’s an encyclopedia set! Anyway, read around, then check around. Ask questions. All of my consultations are confidential and done over the phone, right when you call. You can reach my office Monday through Friday, from 8:30 a.m. until 5:00 p.m., at (586) 465-1980. We’re here to help.